Michael Sliwinski: Pat, your story is like a fairytale. You lost your dream job and you found something even better. Can you tell us the story? 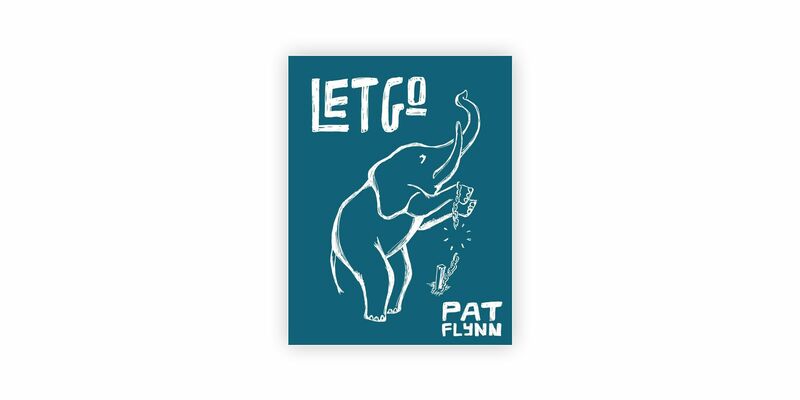 Pat Flynn: After I graduated college with a degree in architecture, I got pretty much my dream job coming out of it. I was doing some restaurant, casino, and hotel design. It was everything I always wanted to do. I was working the job for a few years, I even got promoted, and I was doing everything I could to climb the corporate ladder. I had a whole 40 years of my life planned ahead of me, and then all of a sudden in the middle of 2008, I got notice that I was going to get laid off. Michael: That must have been difficult. You specialized in a very narrow field. Pat: Exactly. That was the only world I knew. And I actually tried to do whatever I could to stay in that job or find other jobs in that arena, but there was nothing available. Michael: The year 2008 was when the private sector in the US fell into a depression. It was the beginning of the big crisis. 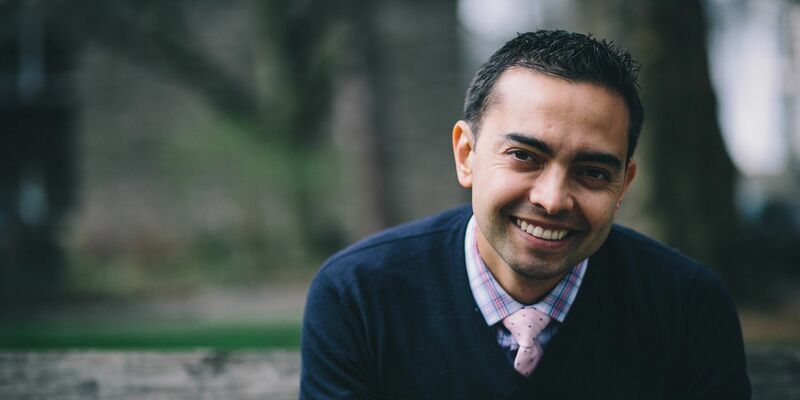 Pat: I was fortunate enough, though, to stumble upon a podcast called Internet Business Mastery. There, I heard of a guy who was making a living teaching people how to pass a project management exam online. And I said, “Hey, I took a couple of exams when I was doing architecture. One of them was called the Leed Exam, and I know quite a bit about it. Maybe I can take some of that information and share that with other people in the architecture industry who want to pass that test?” I actually had a website with all the materials up already — it used to help me and just a couple of coworkers. I thought that maybe I could convert that into a business. Michael: What was the most important milestone then? Pat: To make a long story short, in October of 2008, I had published an e-book helping people in this industry, and it did really, really well. In the first month after I launched that electronic book, I had made $7908.55 from a $19.99 e-book, which just blew me away. Pat: That was much more money than I had ever seen in my whole life, and it just kept going up and up from there. Motivated by that success, I introduced an audio guide to go along with it. I also partnered with other sites to give my audience practice exams, and the income started to grow. So at one point, I was making between $25,000 and $30,000 a month. I had already gotten laid off and, just like you said, I found something much, much better. Michael: So getting laid off was really the blessing. Pat: Totally. What was the worst time of my life actually became a trigger for so many better things. And now I have a blog at SmartPassiveIncome.com, which is something that I created to show people how I do this. Michael: You just share your knowledge and experiences. 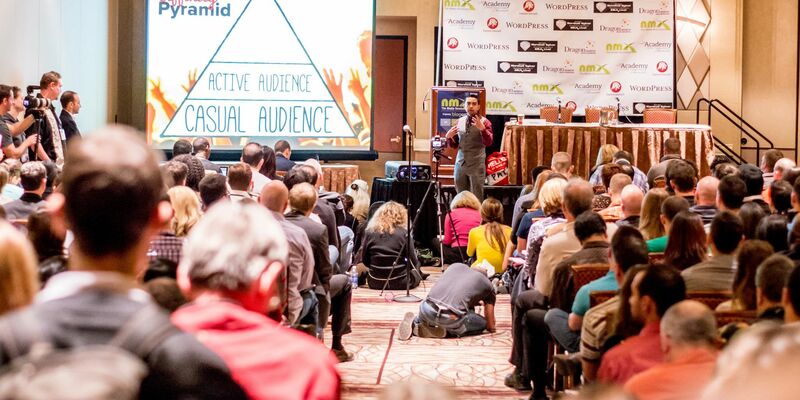 I try things, see if it works out … If it doesn’t, it’s always something useful for my audience anyway. And a lot of times it has been successful — like my iPhone application company, for example. Michael: What other online businesses do you run? Pat: Apart from what I’ve mentioned, I have a security guard training industry here in the U.S., and a food truck site that I just put up. Actually, I also have some software applications. I get to spend most of my time at home with my kids and just work a few hours a day, which is really cool. Michael: So, you start businesses and then you let them be managed by someone else or by some processes? How do you manage so many things at once? Pat: Well, that’s where the passive income part comes into play. It was very much inspired by Tim Ferris’s The 4-Hour Workweek and his ability to put systems and automation into his businesses. The idea is that you don’t have to be present in order for transactions to happen. For example, [with] GreenExamAcademy.com, which is my Leed Exam study guide website, people can come to that site and purchase products or practice exams. Through applications and software, people can purchase those things, and it gets automatically delivered to them without me having to do anything. The computer does that for me. And all that I have to do is be on the receiving end of that payment. Michael: Of course, you still have to update the system every once in a while. It’s not like you can walk away 100%. Pat: But I can go to sleep at night knowing that the business is still up and running and providing value and delivering products for people. That’s how I’m able to put that on almost 100% autopilot. Michael: How many hours do you spend on maintaining each of your businesses? Pat: Right now, I’m dedicating about two or three hours a month to GreenExamAcademy.com. At this point, it is making between $4000 and $8000 a month because the industries kind of come back a little from when it was hot when I was in it. But, again, $4000-$8000 a month for just three hours of work is definitely not bad. My other site, Security Guard Training Headquarters, that helps people become security guards, makes most of its revenue through advertising. And so people come to the site, they see ads, and if it’s something useful to them, they click on those ads, and I get a payment as a result of that as well without me having to actually be there for that to happen. There are multiple and different cases just like that throughout my whole portfolio. Michael: Does it often happen that suddenly a business needs more maintenance than usual? Pat: Obviously, there are moments like that in certain industries. And actually, you know it’s coming, and you can plan for those sorts of things. For example, in the Leed Exam industry, the exam gets updated every two or three years. So, of course, I can’t sell old study material. That has to be updated, too, and I spend maybe a month or two creating the new material for that or working with other people to help create that new material. Unfortunately, there are moments in each of the businesses where things that are unplanned happen. You just have to adapt to those situations. I’m lucky to have enough time to be able to change my direction every once in a while if I need to. Probably the thing that isn’t the most automated is my main blog, SmartPassiveIncome.com. That requires constant updating, interacting, and engaging with my community. And although that is not passive, it is giving me the ability to create passive income opportunities through affiliate marketing, through creating my own products. Perhaps advertising and sponsorships, like on my podcast, as well. And again, it’s just that I don’t have to be there in order for transactions to happen, but, to keep that community going and growing, I have to be there making blog posts once a week at least. I feel like that’s a good rhythm that I’ve found. My dedication and time is kind of spent mostly there. Pat: I have a podcast at AskPat.com where people send in voicemail questions to me. I answer those questions five days a week. It’s doing really well. In the first month and a half, it has seen just about a half a million downloads. Of course I am not recording each of those answers every day and posting them. I’m batch processing those answers. She also takes care of all the metadata and stuff that has to be in there as well for podcast episodes. I’m literally spending eight hours a month to record an entire month’s worth of episodes. I’m at a point now where I’ve gotten sponsorships to come on. When there are sponsors on board, I’m making between $200 and $400 per episode. So, you can do the math there; it’s pretty good for 8 hours of work to get 25 episodes at $400 max. each. Michael: That’s pretty good! And at what point did you decide to hire an assistant? Or do you have several assistants for different purposes or different businesses? How do you structure that and how do you get the support system in place to get your stuff done? And then he told me he uses an assistant to help with the workflow and also batch processes the recordings. He records about seven or eight interviews every Monday, and he ships them off to his assistant, and so they’re done for the rest of the week. I have assistants helping me with other things as well. I’ve recently brought on sort of a project manager I guess you could say, or a producer, who is helping me big time. This is somebody who isn’t cheap, but it’s somebody who lifts a lot of the work off my shoulders so that I can spend time doing the “big idea” thinking that I need to do. If I come up with an idea, this person will help put all of the people together to make it happen. And create the schedule and make sure we follow sprints correctly. Michael: That’s great! I run a software company and have to develop several ideas and projects, too. After listening to you on Michael Hyatt’s podcast, I also got back to the Tim Ferris ideas, which I had already read way before but hadn’t implemented so much. This time though I also hired an assistant and started putting these processes in place. It’s helped me achieve better results. Pat: Right. This is true. However, there are some things that hold a lot of people back, especially when working with assistants. One is that it costs money to do that up front before you can see the results of spending that money later. Another thing, this goes along with something my buddy, Chris Ducker from ChrisDucker.com, says — it’s this thing called superhero syndrome. We all have it as entrepreneurs, and we feel like we can do everything, or we should do everything ourselves. That was something I struggled with in the beginning when I had my Leed Exam website and I was just setting that up. I did everything myself. Even the coding of the website. I learned it on YouTube, and I just wasted so much time trying to figure that out on my own. I remember coding the site and shifting things around and moving and making the page look the way I wanted it to. And then when I finally got smart and hired a developer to make it look more professional, he said, “Who did you have to put this site together? It’s the worst code I’ve ever seen in my life!” And I was like, “Hmm, that was me.” He summed it up: “Oh, okay, I can see why you hired me now.” So that was one of the first few examples of me finally seeing what it was like to hire other people for help and spend a little bit of money to earn more money later. Michael: Right. Especially once several of your projects have taken off, you have this margin of money that you can invest. What people do is they keep the money and keep working more and more hours. But that’s not the idea. Your main idea is still to have some time for you and your family right? Michael: Your story is very personal to me. My brother is also an architect, and he also had a very good job and then was laid off for similar reasons like yourself. Now he’s starting his own business, and he’s really excited about it. He is doing something he really loves. And again, what he thought was the biggest disaster in his life prompted him to do something really cool. Pat: It’s weird how sometimes people need those really almost dramatic moments in life to discover that there are other opportunities available. Or that you can change and be a different person. For some people it’s like the death of somebody they love. That changes their perspective on life. They do things that they wouldn’t normally do because they know they might not have much time left and they want to go out there and make a difference and leave the legacy. Sometimes we do need big punches in our faces to reset and see what else is out there. If I didn’t get laid off, I would still be an architect right now. I guarantee you. It was getting laid off and really not having anything else to fall back on that made me do things that I wouldn’t normally do. It made me take bigger risks and know that, really, what did I have to lose? Michael: It’s a perfect punchline to finish the interview. :) But I would like to ask you about one more thing. You’re a person who is really about the processes and who is setting up processes for something and then replicating it. Could you explain how you set up new businesses? Are the processes and automation there from the very beginning or do you add them in the course of development? 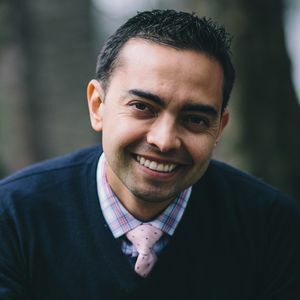 Pat: I think what I’ve learned through starting multiple businesses and having multiple failures is that when you spend the time upfront to validate those ideas first, you’re going to save a lot more time down the road. So doing research upfront, instead of just diving headfirst in the deep end and trying to swim. I’d recommend taking sort of a lean approach with it. Not putting all the bells and whistles into everything and actually spending a lot of time and money creating something that might not even be used or wanted by your particular target audience. It’s good to speak to them on the phone or on Skype and actually dive in to the wants and needs that you can then provide to them. Start with a minimal viable product and then build it out with them from there. Do the research, talk to a few people, and if they tell you, “Hey, we would never buy this, this isn’t useful to us,” you know that you can pivot and do something else instead. I think businesses will develop based on your conversations with the target audience whose problems you’re trying to provide a solution for. Michael: Then, once you know that what you want to sell would actually sell and you have your first customers, what do you do? Pat: At this point, I have my project manager and producer come in, and he organizes everything and just tells everybody what to do. I love that. That’s how we created the most recent site, Foodtrucker.com. It was a group effort instead of just me trying to do everything myself. It was everybody collectively putting their own strengths into it in the way that they know how to do it. Even though there may be things that I like to do, like designing, I knew that we had somebody else that could do that better and faster. I think the hardest part for an entrepreneur is giving up the things you want to do, but you know you shouldn’t be doing as the business’s owner. So as far as [what you should do first], it’s hard to give you a definite answer because it depends on what the problems and potential solutions are. But in terms of productivity, the solution is getting more heads in there and talking about it. Michael: Not many entrepreneurs like talking over their business ideas. Pat: They’re afraid other people are going to steal it. But I swear, when you start talking about it with other people, you get the outside reaction of what it is that you want to create. You can see people just not understanding what you’re saying or maybe really latching onto the idea. It gives you validation for what you want to do. I would recommend talking about it, hopefully with people that you trust that wouldn’t take that idea from you. But even if someone was going to steal your idea, they’re not going to have the time or resources. They’re not going to be the ones like you who have the energy and are focused just on that one thing. And that’s the last point I want to make. I know I have a ton of businesses going on, but whenever I’m in work mode or focusing on one project and one task within that project, I don’t think or learn about anything else unless it’s related to that. Until that task within that one project is done. Michael: Right, totally. You are a great inspiration, Pat. Thank you very much. 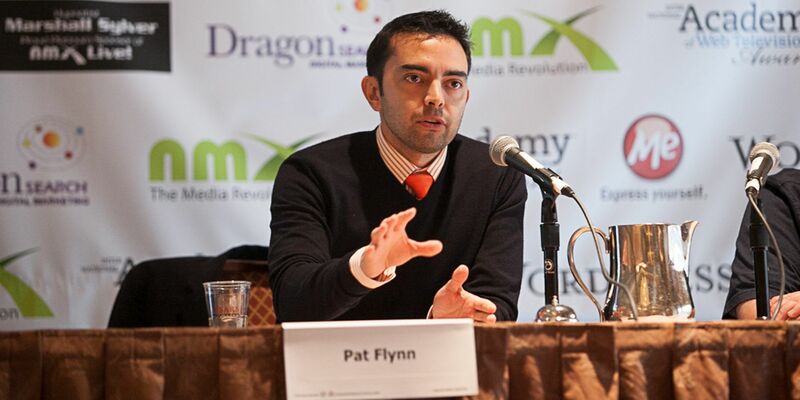 Pat Flynn is an online entrepreneur, author, podcaster, and blogger. 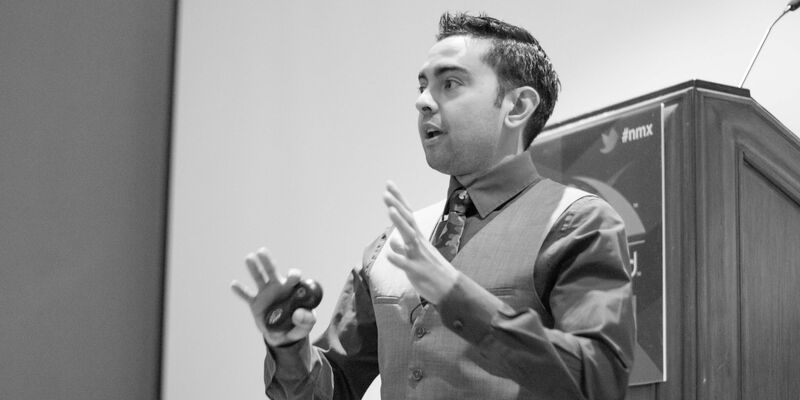 He is a beloved thought leader in the areas of online entrepreneurship, digital marketing, and lifestyle businesses. Pat overcame career adversity at an early age by finding his own path. Despite his success in business, Pat’s greatest joys are spending time with his family and friends as well as helping inspire and educate others on how to succeed with their own entrepreneurial careers.